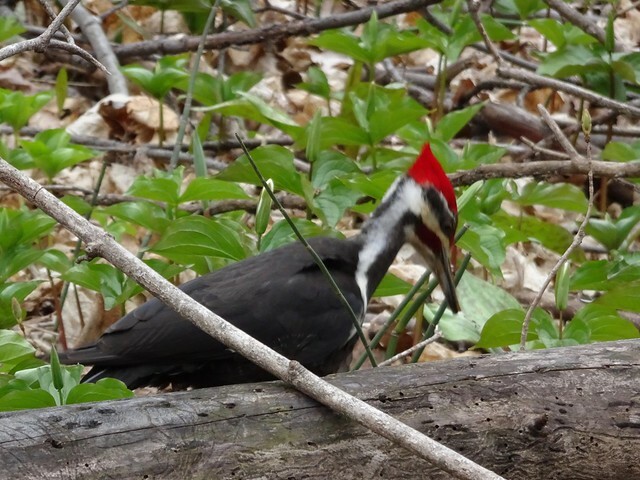 I have rarely seen a pileated woodpecker this close (last time was from a window). 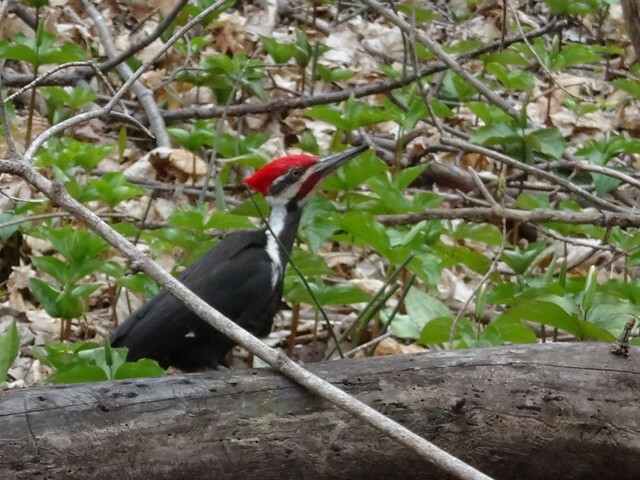 It was happily pecking at some rotten wood on the forest floor, unperturbed by our presence. They are really majestic creatures - large birds compared to their woodpecker cousins. The forest is just waking up. Green is slowly replacing the sepia dried leaves. This time of year I am on the lookout for trilliums. They grow quickly and last but a short time. The red ones were visible - the white ones merely buds. Only a few days more and the forest floor will be covered with their white, perky blooms. The red flowers are hard to spot once the white ones open. 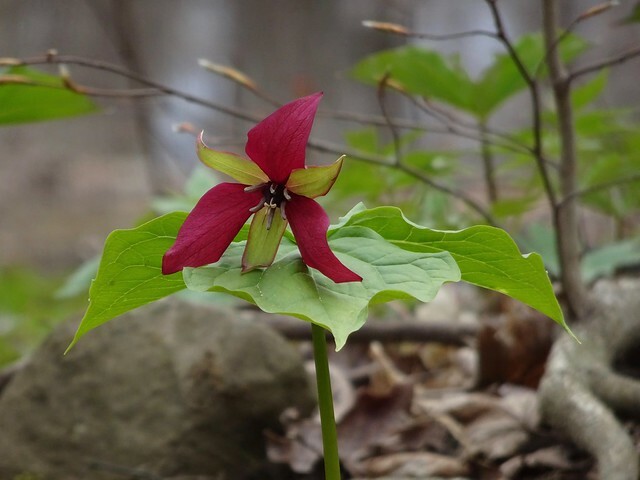 There are many fewer red trilliums around. 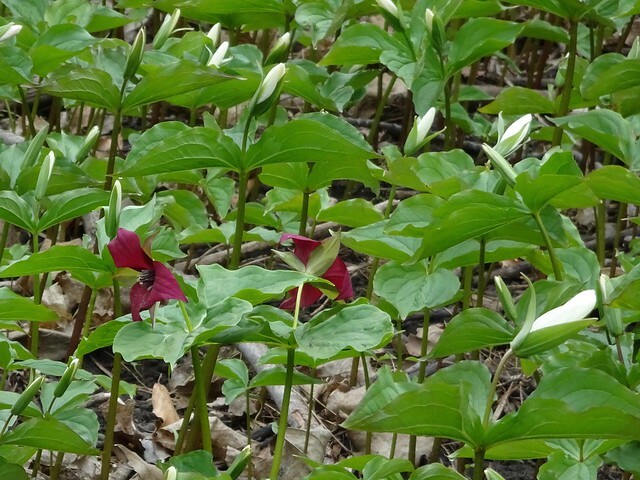 Apparently new trillium plants take up to 7 years before they start to produce flowers. I'm not sure what this flower is. I am just amazed at how things grow - pushing through the dried leaves of fall and finding light. Their season is short as they only last until the tree canopy fills in and covers the light. 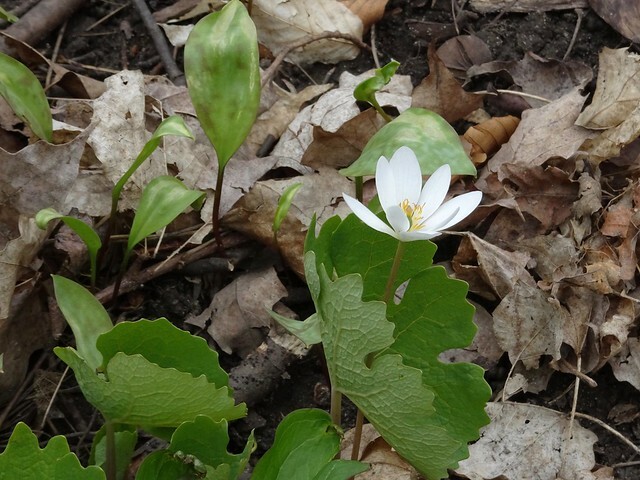 Addendum: I'm told this white flower is Sanguinaria Canadensis or Bloodroot.